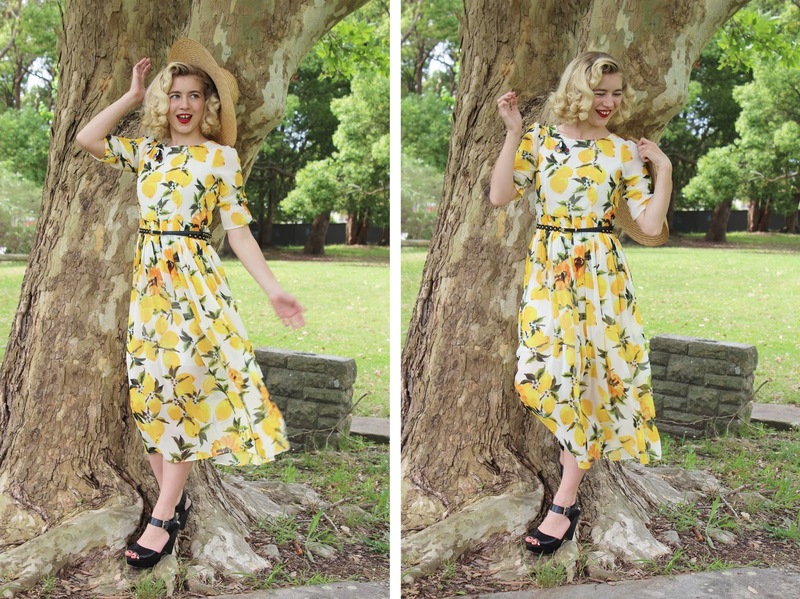 I love lemons and I also love a lemon print dress (Dolce & Gabbana lemon print anyone)?! 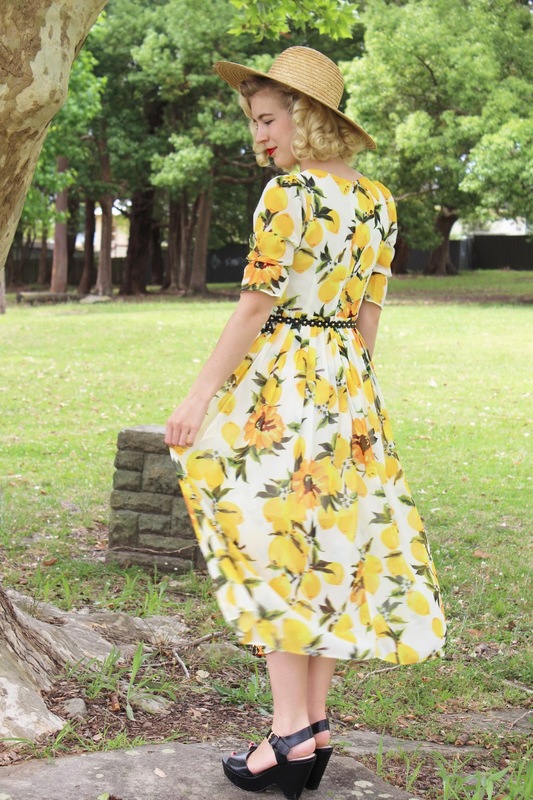 There is just something about yellow that makes me feel happy and as someone who thinks lemons are the best I could not go past this sweet dress from Dressific. These photos were taken late last year when the sun was shining, the last couple of weeks have been filled with constant rain and the wind has been pretty crazy today. Back to the dress... 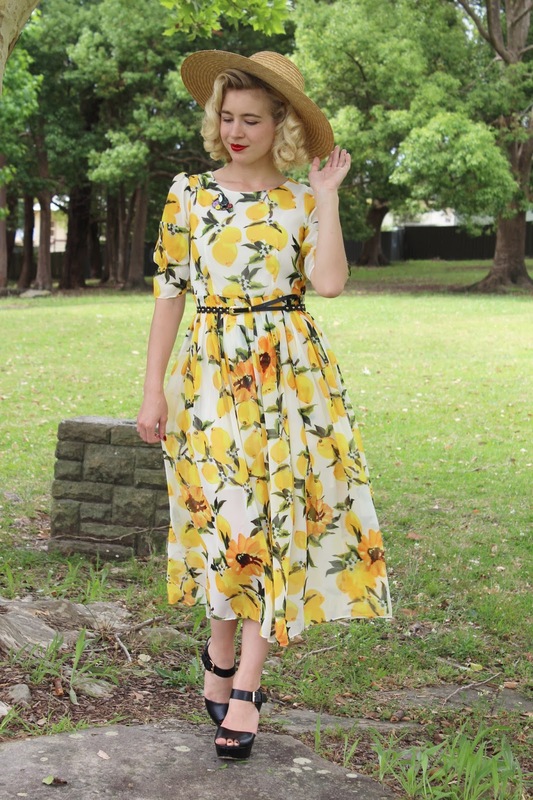 It's a polyester dress that is soft to wear and has a nice flow to it, the lemon print is vibrant, the belt is a bit too big for me so I might punch another hole into it or I'll pair it with another one next time. 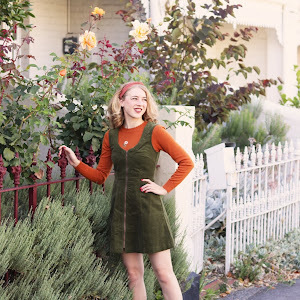 The long sleeves and longer skirt make it a nice spring or even autumn dress with a bit of layering. I chose size small and the fit is great, the waist has elastic so that gives you a bit of extra room. 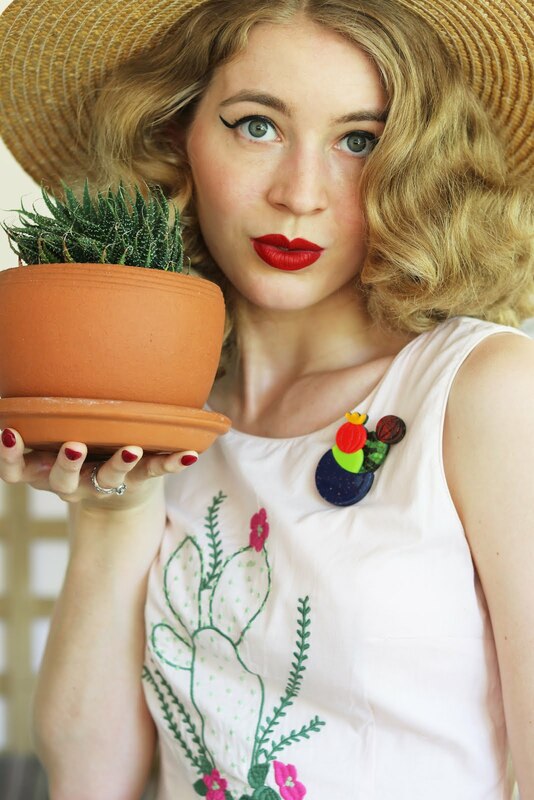 The styling was something I kept pretty simple with one of my favourite hats (you're probably all sick of it), an Erstwilder brooch and some black platform heels. 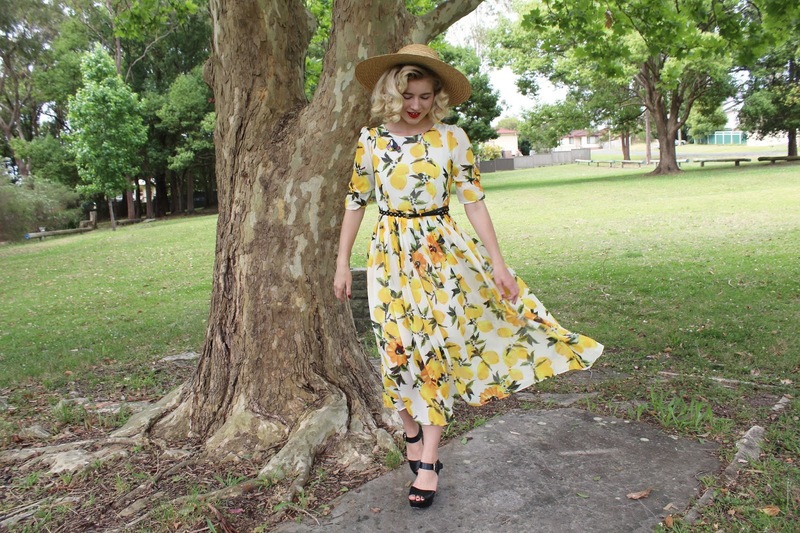 Dressific provided good service, with fast delivery and they ship worldwide too. If you would like to win a dress from Dressific head to my Instagram or Dressific's Instagram to enter and for all the details! 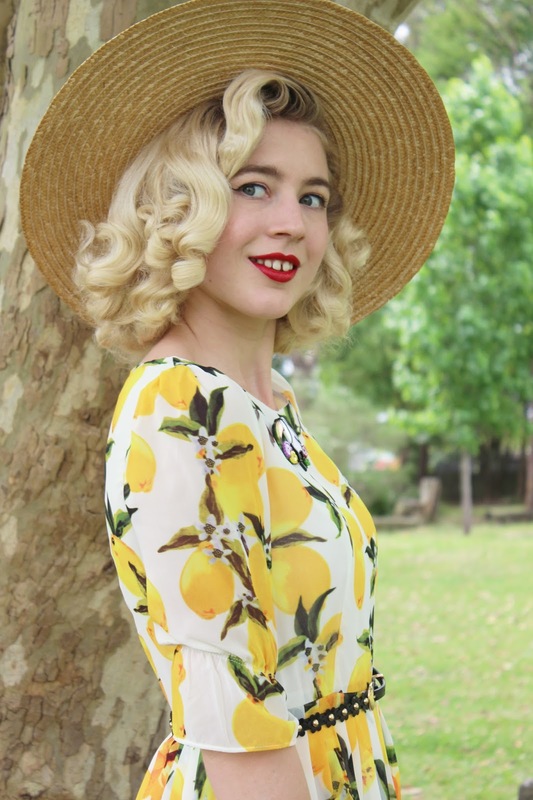 Back to my talk about the weather, I hope that we get a break from the rain soon because I have quite a few summer looks that I need to wear before I dress for autumn and pull all of my cardigans/jumpers out of storage. Hopefully I will finish my current sewing project this weekend too, that would be awesome as there isn't much to go really so I better get onto that. Have a great weekend everyone, I'm going to make dinner and then settle in for a night of The Sims. 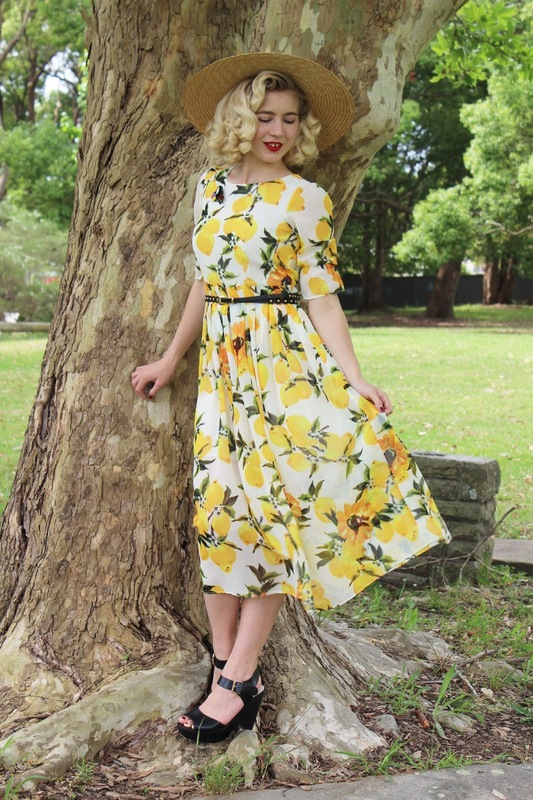 I love this lemon print so much!!! So fun and fresh for a summer day! Completely perfect!! Soooo pretty! Love this dress on you. I think I only have one item that has yellow in it... I need to get more. Yellow is such a happy color. Taken last year or not, seeing these photos are like a breath of fresh air! So spring like and so lovely! 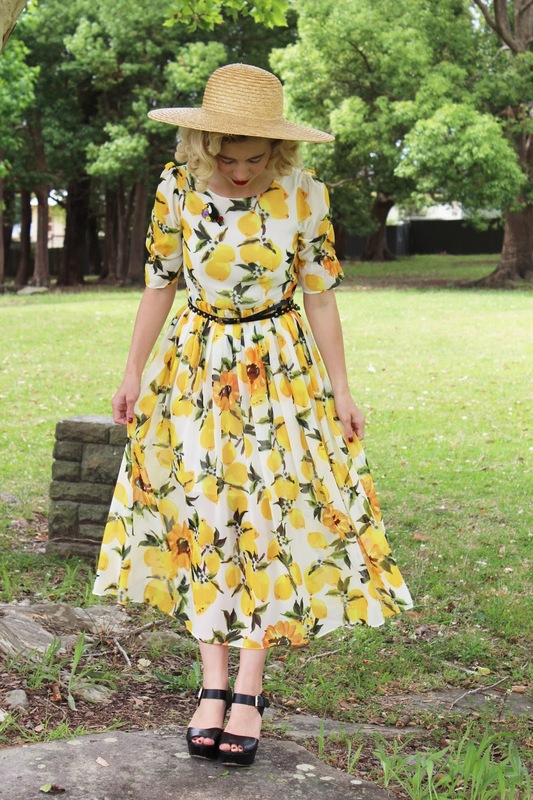 I love the hat you chose to wear with it - it's perfect for this lemon-y dress! You are such a beautiful sight in yellow! <3 Such a great color on you! 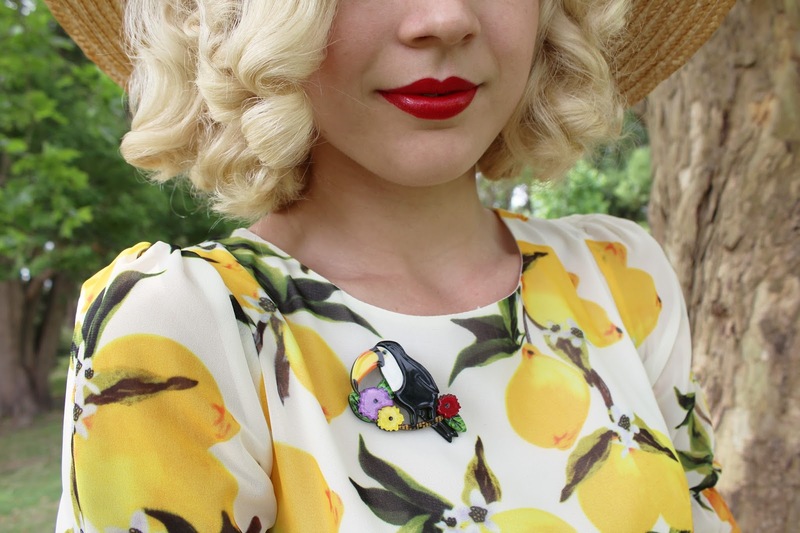 And I love how you paired the Erstwilder pin with this dress. So fun!